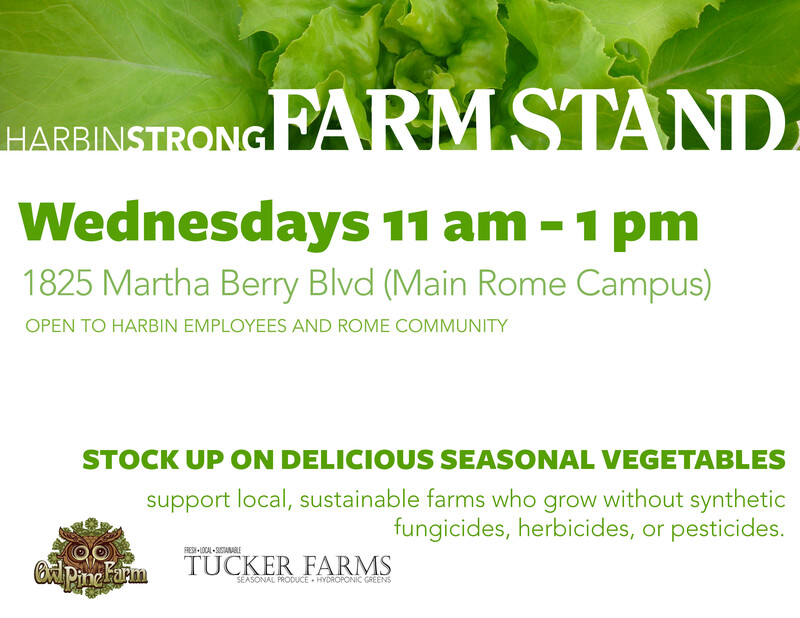 Stop by the HarbinSTRONG Farm Stand today at the Main Clinic (corner of Martha Berry Blvd. and Redmond Rd.) in Rome from 11 a.m. to 1 p.m.
Owl Pine Farm is offering blueberries, broccoli, cabbage, cauliflower, garlic, kale, leeks, chanterelle mushrooms, onions, peaches, squash and cherry tomatoes. Tucker Farms will have a variety of garden veggies including their fabulous lettuce and kale. You can’t find better greens anywhere! Come stock up on fabulous fresh locally grown produce!